For any business to succeed there are a few fundamental requirements on which you cannot negotiate if you want to grow your business. You need a quality product, a quality service, and a good target market. Still with all of your effort, it may result in nothing because your product is not properly introduced among potential customers and the masses. Lacking in a sound marketing strategy,especially within email marketing, is a major cause of failing for potential businesses. As I like to say, marketing is the heart of any business’ long term success. Over the past 30 years or so, marketing strategies have greatly transformed. We are now in the age of the Internet and it is very critical that all businesses make their presence known on desktops and mobile. Email marketing is regarded as the most powerful tool of modern age marketing because of its ability to directly communicate with the customer in a fast fashion. A new email is always a source of excitement, curiosity and solitude. According to surveys, almost every email user checks their inbox at least twice per day. This is where small businesses can really compete with the giant ones and differentiate their product from the rest. By using email marketing best practices, you can leverage this powerful tool for your business. Let’s look at an example. I work for a consultancy firm that helps companies start their own business in UAE. Think for a second about the time, effort, and human resources required to structure a direct-to-consumer or direct business-to-business campaign using traditional postal marketing and telesales marketing. My business has to reach thousands of customers all across the globe and these outdated methods of marketing do not make the cut for budget or efficiency. The simpler and cheapest way is sending personalized email marketing campaigns including newsletters and brochures in which you define the prospects of your enterprise and how it can help the target customer. While email marketing has many advantages, it is not as easy as it sounds and it takes a lot of knowledge to perfect. According to DMA, 77% of the whole email marketing ROI came from segmented, targeted, and triggered campaigns in 2015. You need to put all of your efforts in the right direction to get maximized results otherwise you may end up spending money without seeing real results. In this article, I am providing you with three simple ways that have been proved most effective and result orientated in targeting customers by using email marketing. Email marketing campaigns are mainly based on past purchases of your products and identification of new buyers. Both of these tasks require putting yourself in your customer’s shoes and doing your best to think like them. When thinking about your current customers, you want to think of how you could have make the experience better and what would entice them to come back for more. When thinking about your new buyers, you need to think about what issue your product is solving then figure out who is having that problem. These people will be the ones that need your solution the most. Then use that content to create your email campaigns. This is a great way of showing your fans and followers that you are human and not just a machine that sends out messages about your product or service. No consumer wants a display of your products on his screen 24/7 and they want to feel connected to the product. A great way of doing that is to send them personalized greeting cards and well wishes on Christmas, New Years, and other holidays throughout the year. Why don’t your emails even make it to the potential consumers inbox? This is a question that is probably on the minds of most marketing managers and business owners handling email marketing. 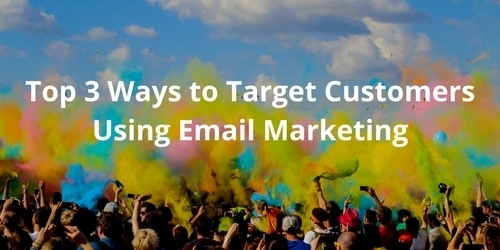 Targeting is such an important aspect of email marketing that must be paid attention to. If you are sending out emails to people that don’t make sense for their given position or situation, it is going to resonate negatively with them and they be turned off from ever being a customer of yours. For this reason, you want to make sure that you are sending customized content to specific groups of your target market to increase the chance of them opening and being interested in the email. 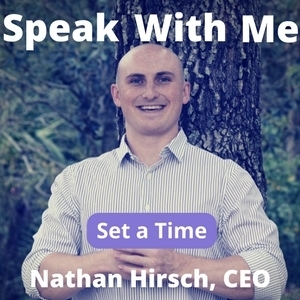 Also, wait for the right time to pitch your customers. It may not always be best to pitch them on very first email they receive from you. Maybe they need some more information about your first. Segmenting emails has definitely become and art and science. As you start to segment your emails, keep these factors in mind. Have a look at their profile, age, gender, education and demographics. Educate new subscribers who don’t know much about your brand and services. Reconnect with those subscribers who do not respond by using reactivation campaigns. Find out something more for those who are loyal to your company and look forward to your emails. Make classification of subscribers on a daily, weekly and monthly basis. Most email marketing platforms (Mailchimp, Aweber, etc.) will have a reports section where you can analyze how your customers are interacting with the emails that you are sending out. As with most other aspects of digital marketing, tracking analytics, testing, and making iterations is key to reaching optimization. If you notice that your customers are starting to respond less to your emails. This may be the campaigns Open Rate or Click Through Rate. Analyze when it started to happen and dive into the content to see if you did anything differently that may have turned the customer off. To get a good sense of what your customers are thinking, try to engage them with a simple survey where they can provide feedback about what they’d like to learn about or where the email campaign is its best and worst. As you receive answers, take their feedback and pour it into new emails that will meet their wants. The more you listen to your customers, the greater your product/service is going to become and the more effective your email communication will be. As you can see, segmentation in email marketing is not rocket science, but it involves a decent amount of analytics and testing to reach an optimal level of engagement. You need to research, create tests, and analyze how your customers are responding. If you can create a formula for success using these tips, your email marketing campaigns can become a huge contributor to the sales of your company. This article was written by Brenda Cagara. Brenda has been writing articles and blog posts for over five years. She has done a fair share of writing on a variety of topic niches, but her main focus is business, social media, email marketing, and finance. Currently, she is working with a business consultancy in UAE, Riz & Mona. Retargeting is pretty much untapped, but it can be so much work for so few results.